The Environmental Law Conference at Yosemite® is presented annually by the California Lawyers Association (CLA) and is held at Tenaya Lodge At Yosemite, Thursday-Sunday, October 18-21, 2018. The Environmental Law Conference at Yosemite® is nationally recognized as the largest and most prestigious gathering in California of leaders in environmental, land use, and natural resources law. Many of the nation’s top environmental officials, lawyers, and other professionals will be at this well attended conference in the spectacular setting of Yosemite. Read more about schedule, program, etc. here. Here are some highlights from this year’s conference. Two new multifamily developments in Los Angeles are getting a unique Tetris-style semi-automated parking system that could lead to a shift in how residents park their vehicles. 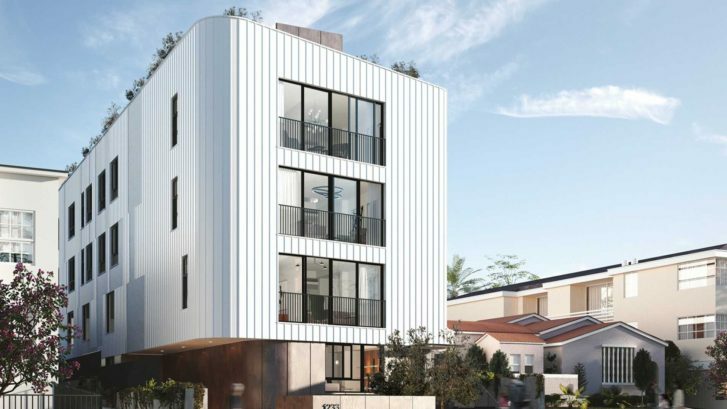 In late summer 2018, Beverly Hills-based Markwood Enterprises broke ground on a 14-unit, 16K SF multifamily property in mid-Wilshire and a 13-unit, 12K SF multifamily development in Larchmont. Each offers one unit for very-low-income tenants. Terra-Petra provided environmental consulting pre- and during the ground breaking as well as waterproofing consulting services for the a two-level subterranean semi-automated puzzle shift parking system developed by CityLift. Multifamily developments in Los Angeles are required to have two parking spaces for each two-bedroom unit, one and a half spaces for one-bedroom units and one space for studios. But the innovative system by Oakland-based CityLift could start a trend in the city’s multifamily landscape that allows developers to build more density with less space, Aftalion said. Dunsmuir Row, 1233 South Dunsmuir in mid-Wilshire will offer 18 parking spots, while the project, Elmwood Row, on 4807 Elmwood Ave. in Larchmont will have 16 parking spaces. Read Urbanize Los Angeles Article. The puzzle shift — sometimes referred to as a puzzle lift — system appears as a stacked four-by-two grid. When a resident parks in a reserved spot, the system shifts or slides the vehicle or lifts it into place. The cars can be accessed independently. It takes an average of 30 seconds for a resident to retrieve a vehicle. Read the entire article on Bisnow.com. Retail real estate professionals and developers remained upbeat at RECon 2018, as most (if not all) felt that the “doom and gloom” of previous years is now a thing of the past. 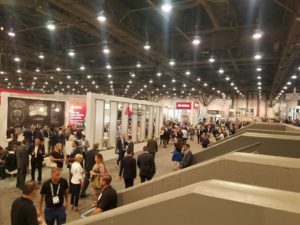 Most retailers, owners and developers, it seemed from our own reaching out to attendees on the Expo floor, are continuing to move forward. This year’s conference fell over the Jewish holiday Shavuot, which may have potentially impacted attendance levels, but ICSC said that ReCon attendance was on par with previous years. Read about some of highlights that real estate professionals shared during the second day on the showroom floor on www.nreionline.com. 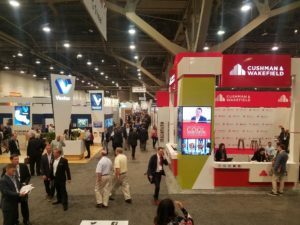 Terra-Petra’s senior executive team was excited to be at ICSC RECon at the Las Vegas Convention Center –once again! Former NFL player Michael Strahan gave the opening keynote at this year’s RECon event. The Football Hall of Famer, Two-time Emmy winner and Super Bowl Champion spoke at the Westgate Hotel on Sunday, May 20. Other speakers included Daymond John, CEO & Founder of FUBU and Star of ABC’s Shark Tank, and Jennifer Fleiss, CEO & Co-Founder of Code Eight and Co-Founder of Rent the Runway. 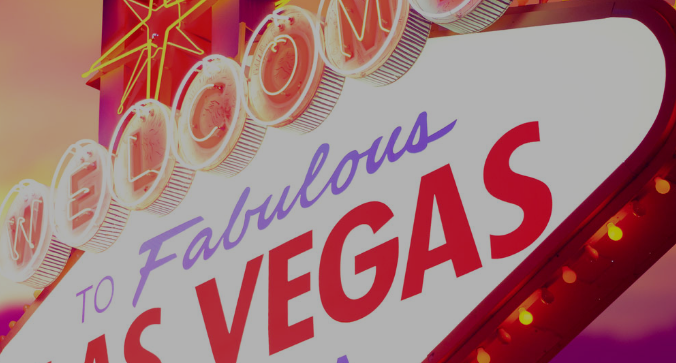 A number of conference sessions, professional development workshops, covered everything from “How to Attract E-Commerce Brands” to “Vacant Storefront to Lessons Learned From the 2017 Hurricane Season.” Read about more ICSC RECon 2018. 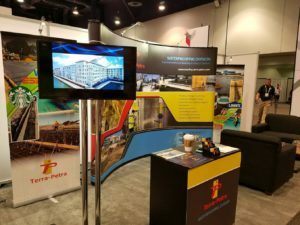 Highlights from the ReCon 2018 Expo floor and Terra-Petra booth N1418…. 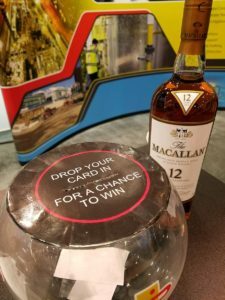 Business card in the bowl for a chance to win! 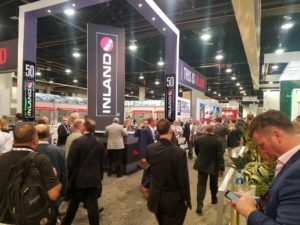 ICSC ReCon 2018 – Expo floor was packed! 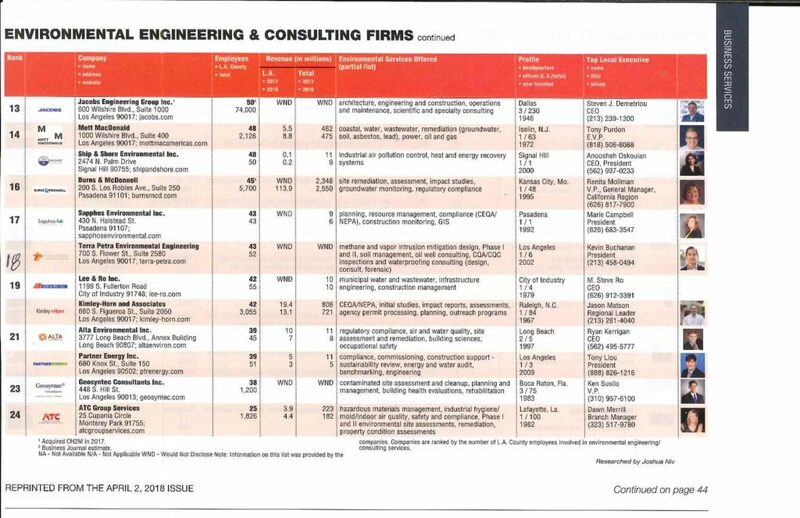 Los Angeles Business Journal ranks Terra-Petra as the #18 Environmental Engineering and Consulting Firm in Los Angeles County for 2018. 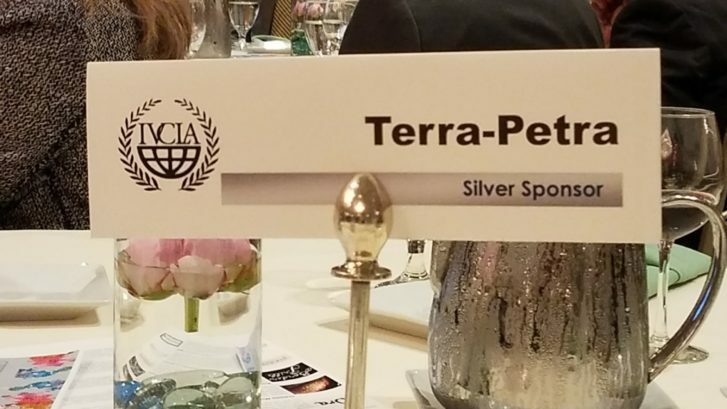 Terra-Petra, one of the “newer firms” on the LABJ List, has been in the environmental engineering industry for just over 20 years, with many successful projects to lean on. The company started its operations focusing on the Los Angeles market to address the local “methane concerns” that quickly became a big issue. Its in-house experts were a big part of the team that developed the local Los Angeles Methane Code. 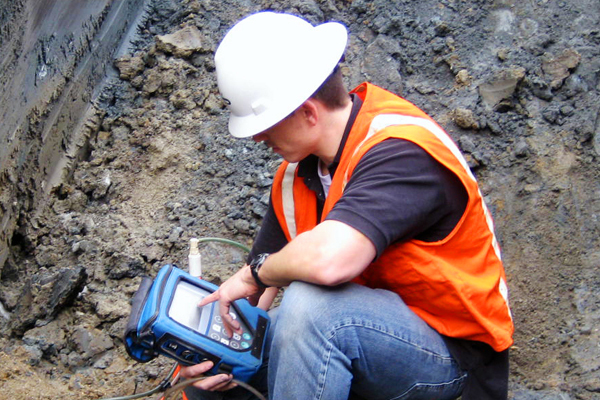 Terra-Petra’s expertise has always involved the ability to provide exceptional solutions for methane related issues, including soil gas investigations to determine level of risk. We are adept at recommending the right mitigation strategy and designing the right mitigation system to fit the client’s needs as well as providing the necessary inspections to ensure compliance and system integrity. Over the last ten years in particular, Terra-Petra has become to be recognized as the leading expert in methane and soil gas arena. As methane experts, we’ve also become experts at below grade waterproofing and drainage, having launched our sister-company Building Waterproofing Experts in 2010. Terra-Petra’s Management Philosophy approach is simple, says President Kevin Buchanan, “Make every client’s life easier.” The City of Los Angeles has written a very complex Methane Code. We have found that most of our clients, as well as the members of the design and construction teams, have no experience dealing with a property affected by this code–which impacts every aspect of the project. For this reason, we take the position of being a Methane Educator as well as Methane Problem Solver. Terra-Petra is headquartered in Downtown Los Angeles and operates satelite offices in the cities of San Francisco, Tacoma, Denver, and New York City to serve clients throughout the nation and globally. Los Angeles Business Journal rankings are based on number of employees in L.A. County among environmental engineering and consulting firms. On this Veteran’s Day 2017, Terra-Petra would like to honor our own brave Veterans, John Conaway – U.S. Marine Corps, Anthony Avina – U.S Marine Corps, 4th Light Armored Reconnaissance Battalion, H&S company, and Eduardo Rangel – U.S. Army, 2 time Afghanistan Veteran. We would like to thank John, Anthony and Eduardo along with all of those who have served —and those who continue to serve— for your valiant service to defend this amazing country of ours. We truly appreciate all of your hard work and dedication. 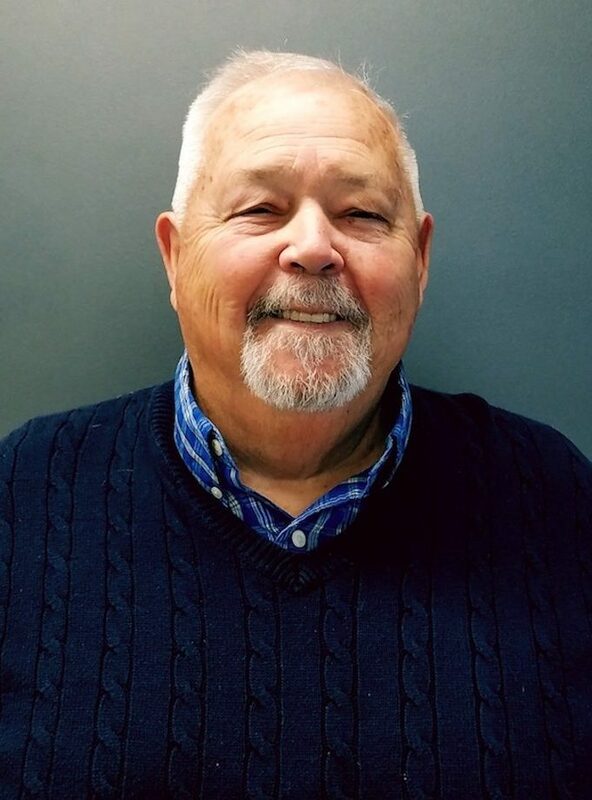 Terra-Petra’s Professional Engineer (PE Civil) and Vietnam Veteran, John R. Conaway has over 40 years of experience in project supervision, development, evaluation, training, and safety. His impressive and expansive career track started when John received a draft notice in late 1965, when the military presence started to increase in Vietnam. Instead of going into the army, as he had expected, John went into the US Marine Corps, and served from January 1966 to January 1968. He received his training at Camp Pendleton, California, and was later transferred to Camp Lejeune, NC. One of the highlights of his service was being selected to run the supply department on a 3-month “Caribbean cruise.” During the cruise, his ship broke down, allowing him to spend several weeks in San Juan, Puerto Rico. The photo,of John above was taken after during war games in November 1966 on the island of Vieques, Puerto Rico. He achieved the rank of sergeant in 18 months, which was a record time for getting to the rank of E-5. 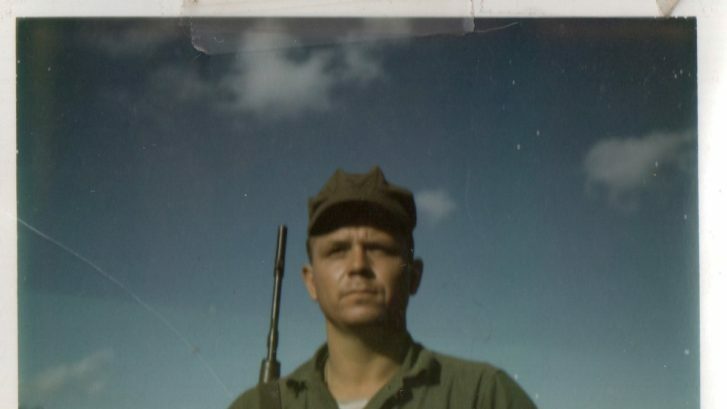 Although he came close several times, John was able to avoid being sent to fight on the front lines in Vietnam, although he is still considered a Vietnam-era Vet. 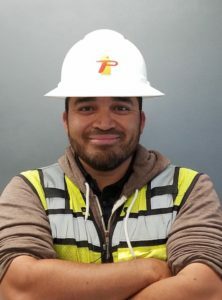 John earned a reputation for his expertise in design and inspection of methane mitigation systems and waterproofing for commercial and residential structures. John has worked with solid waste disposal, environmental engineering, managing road and facility maintenance and construction, permitting, project engineering and design in California, Nevada, and North Carolina. Read more about John Conaway. 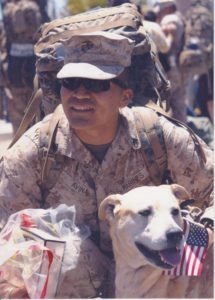 Anthony B. Avina served in the United States Marine Corps for 8 ½ years (2005-2013) with the 4th Light Armored Reconnaissance Battalion, H&S company. 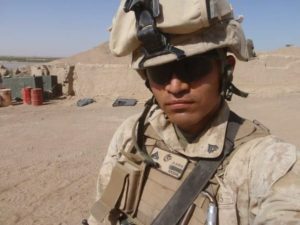 While serving in the Marine Corps, he received training as an Electro-Optical Ordinance Repairman which taught him how to repair and maintain night sights, thermal sights, missile systems, fire control systems and optical sights. During his service he went on numerous training exercises across the United States from Yakima, WA, Boise, ID and, Fort Knox, Kentucky. He deployed to Helmand Province, Afghanistan in 2009-2010 for a tour of service overseas where he conducted internal/external base security and his job as an Electro-Optical Ordinance Repairman conducting preventive maintenance and repairs on the battalions’ vehicles. By the end of his service he attained the rank of Sergeant and was running the day-to-day operations for the Instrument and Optics shop, and was responsible for the training and welfare of eight Marines. Within his term of service, he received the following awards: Presidential Unit Citation, Navy Unit Commendation, Selected Marine Corps Reserve Ribbon 2nd Award, National Defense Ribbon, Afghanistan Campaign Medal, Global War on Terror Ribbon, Sea Service Deployment Ribbon, Armed Forces Reserve Medal and, NATO ISAF Medal. Eduard’s superiors highlighted the fact that he exhibited “courage under fire” in Shavak Afghanistan, and in the Paktia, Poli-alarm, and Logar provinces of Afghanistan while conducting combat patrols. He laid down heavy suppressive fire for his platoon members engaging the enemy. As the enemy attacked several times via well-organized ambushes, SPC Rangel remained calm while taking commands and calling out enemy distance and description. He participated in over 100 combat mounted and dismounted patrol missions in these Paktia, Poli-alarm, and Logar provinces of Afghanistan during Operation Enduring Freedom VIII. His tireless efforts, knowledge, and willingness to give resulted in accomplishment of all of his assigned missions covering thousands of miles of rugged terrain throughout all three provinces. The second citation was awarded to Eduardo in 2010 for “meritorious service as a combat engineer while assigned to Alpha Company, 508th Special Troops Battalion from 04 March 2006 to 01, November 2010.” The citation goes on to state: “SPC Rangel’s technical and tactical competence, combined with his dedication to duty set the example for others to follow. His attention to detail and selfless service inspired every paratrooper to achieve success. His performance reflects great credit upon himself, Alpha Company, 508th Special Troops Battalion, The 82nd Airborne Division, and the United States Army. One of the achievements highlighted in the award document outlines how Specialist Rangel was deployed to West Point NY where he was assisted in the training of over 120 Cadets in Demolitions and Urban Breaching Techniques. He was also a part of two deployments to the Joint Readiness Training Center (JRTC) at Fort Polk, LA. During the JRTC deployment, he was key to his Platoon’s ability to conduct Route Clearance and Sanitation Operations. He mentored and instructed the Platoon on numerous techniques, tactics and procedures–often citing personal experiences. 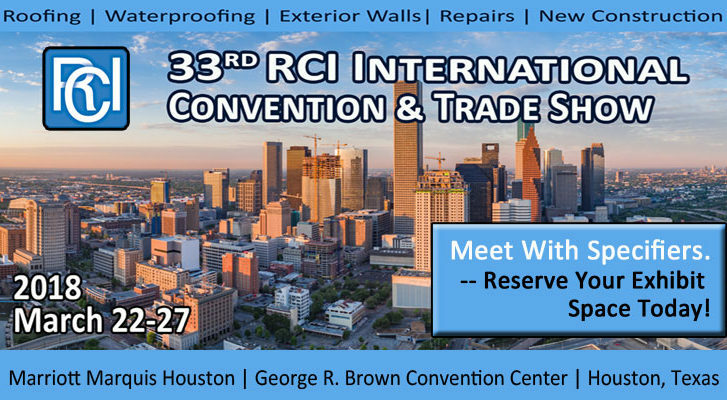 The Terra-Petra Waterproofing Division will be an Exhibitor at the RCI International Convention and Trade Show in Houston in March, 2018. Meet the team at BOOTH 334 March 22-27. RCI, Inc. is an international association of building envelope consultants. Members specialize in design, investigation, repair, and management of roofing, exterior wall, and waterproofing systems. 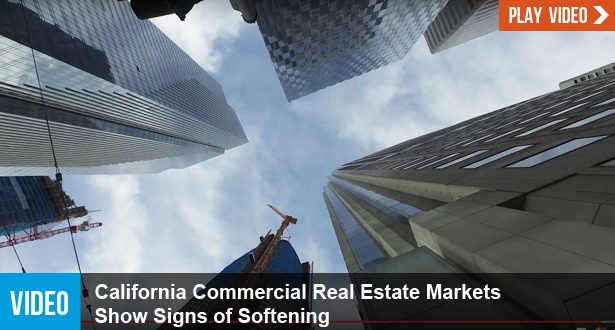 Allen Matkins and UCLA Anderson Forecast have partnered to create a Commercial Real Estate Survey and Index to better predict future California commercial rental and vacancy rates. This tool surveys supply-side participants – commercial developers and financiers of commercial development – for insights into their markets. The Survey and the resulting Index provide a measure of the commercial real estate supply-side participants’ view of current and future conditions. Since participants make investment actions based upon these views, it provides a leading indicator of changing supply conditions. Allen Matkins sponsored this Survey to provide value to the industry. 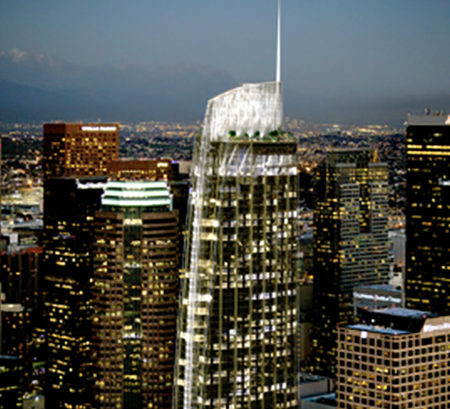 Partnered with UCLA Anderson Forecast, the leading independent economic forecast of both the U.S. and California economies for over 65 years, they have tapped the knowledge of the leading developers and financiers of real estate development in California to provide the best, clear-sighted forecast of the California commercial real estate industry. Read they Survey and Index here. The Los Angeles Unified School District (LAUSD) issued Terra-Petra an SBE certificate effective October 26, 2016. 541620 & 541330 through October 2018. To maintain a valid SBE Certificate after three years with LAUSD, Terra-Petra must also renew its self-certification with LAUSD or register with the Small Business Administration before the SBE certification expiration date referenced expires. 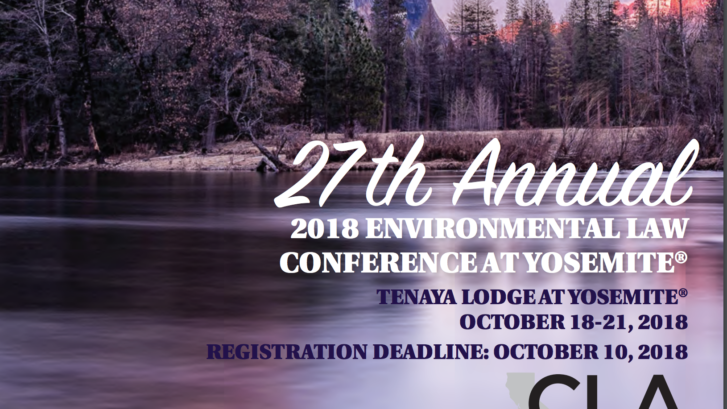 Terra-Petra Environmental Engineering, once again, joined up with the ENVIRONMENTAL LAW CONFERENCE AT YOSEMITE® -October 20-23 at the Tenaya Lodge (“The Gateway to Yosemite”). The conference is nationally recognized as the largest and most prestigious gathering in California of leaders in environmental, land use, and natural resources law. Here are a few of the highlights. Left to right: The Great Expo Hall of Tenaya Lodge! Terra-Petra exhibition meeting table; Gorgeous view from the Lodge; The crowd waits to hear Senator Barbara Boxer; Terra-Petra's Justin Conaway and Kevin Buchanan, on their way out to Fresno Dome; Working up to the top of the Dome and the beautiful view from above; Justin takes a tumble down, but rest assured he is doing fine. Terra-Petra's team had a fantasic time and as always, The Environmental Law Conference at Yosemite was an exceptional event for educational and networking opportunities within the environmental engineering and law industries.